-Senior Fellow at the Institute for Innovation, Creativity and Capital (IC2) at The University of Texas at Austin. Martha has established collaborative research initiatives in technology leadership and information sciences for national science agencies and technology companies, pioneering early public-private partnerships in microelectronic and information sciences and in manufacturing technologies. 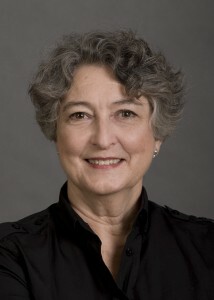 She has led interdisciplinary research programs at the University of Minnesota and The University of Texas at Austin and has spearheaded interdisciplinary leadership programs for national agencies and consortia. Martha has developed planning/evaluation systems and consulted regionally and internationally on technology innovation for regional development. She has a doctoral degree in Policy Analysis focused on Technology Transfer from the University of Minnesota, and a B.A. from the University of California at Santa Barbara. Dr. Russell studies innovation ecosystems using data-driven visualization methods for systems analysis and is promoting the development of new media metrics for the persuasive impact of interactive, place-based and social media. She serves on the advisory boards of the Journal of Interactive Advertising and the Journal of Technology Forecasting and Social Change. Is the internet destroying the current leadership models? How is innovation affecting politics? And what effect do politics have on innovation? The disconnect between the innovation community and policy makers is a serious issue. Most would agree that our livelihoods depend on a healthy, dynamic and innovative economy. What opportunities are there for the innovation community to inform the political process? Lucy Freedman, founder of SyntaxCommunication.com, shares the five core skills of communication for innovators to master in order to gain traction with their insights.